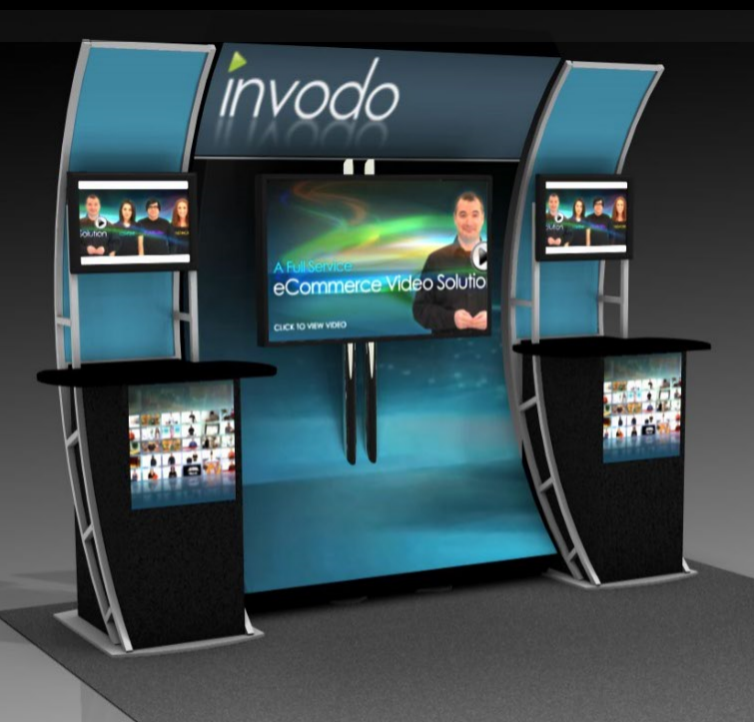 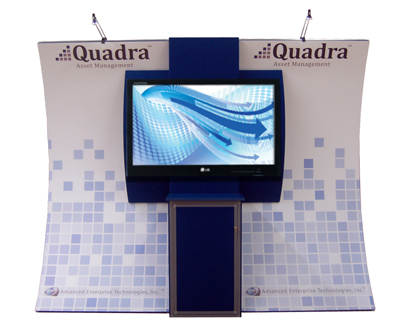 Our Forum System can provide a portable Media Station Kiosk for your computer or video monitor. 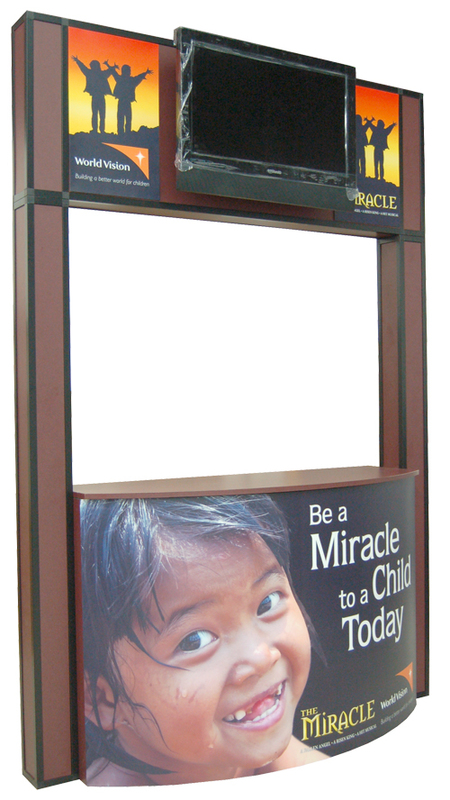 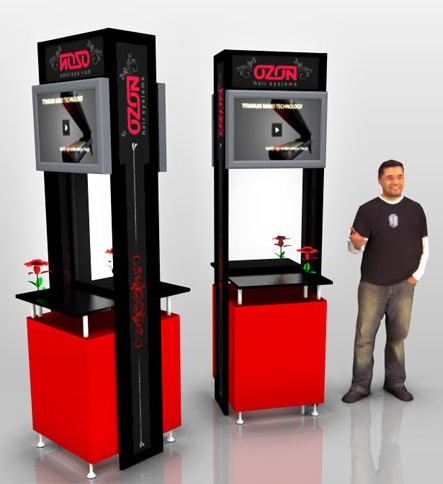 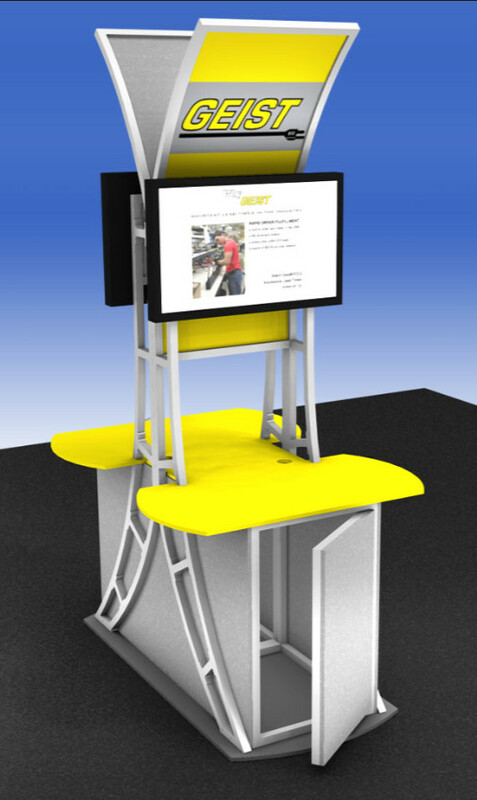 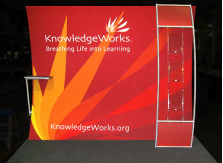 The Kiosk provides a work surface for collecting leads and a storage compartment for extra literature or lead forms. 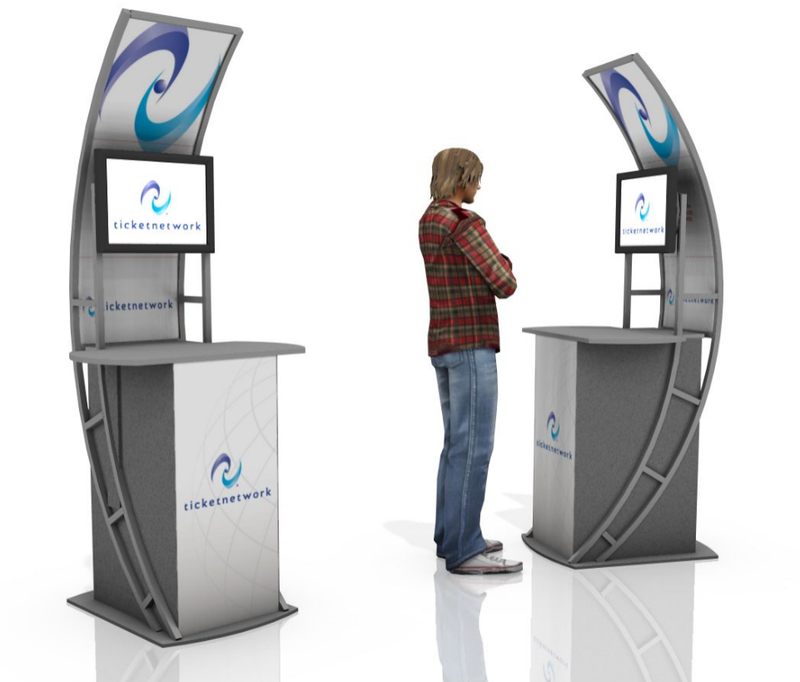 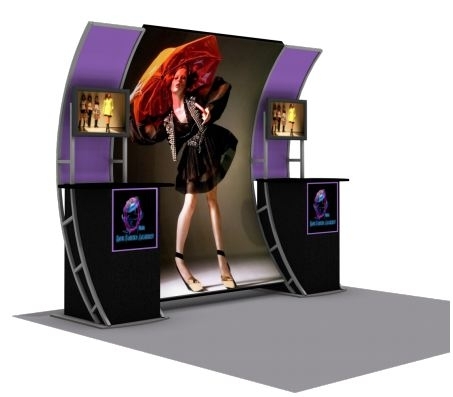 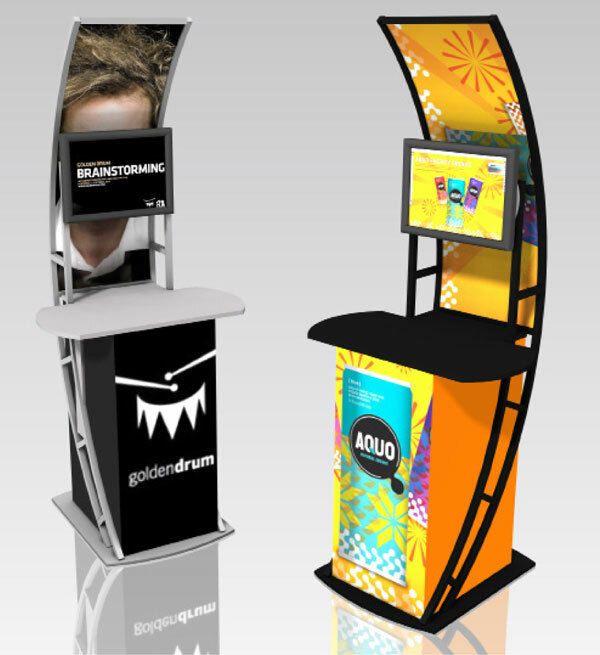 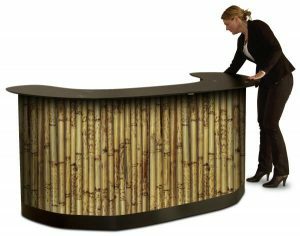 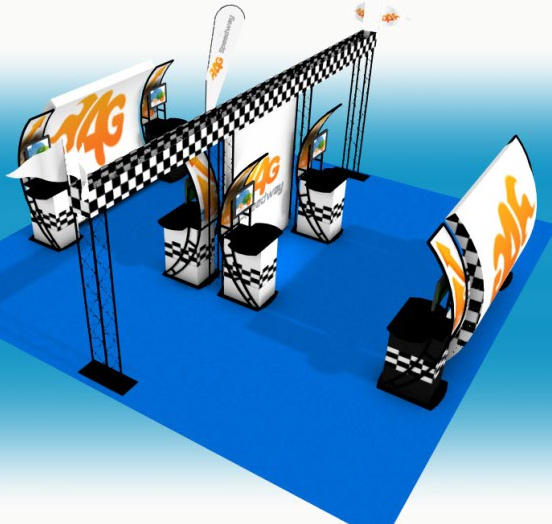 The display can be customized for your custom needs with an overhead audio sound dome or custom literature and specialty holders.